I, as I almost always do, took to pinterest for this prompt of the #31DC2014.. and came across THIS gem. 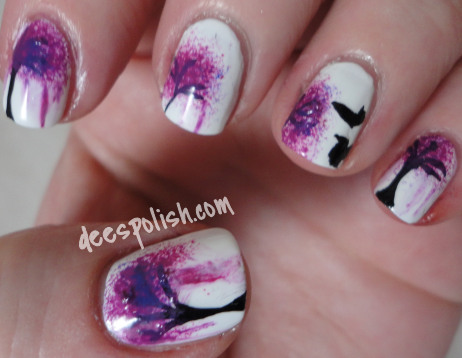 Did it translate to nail art very well.. not for me.. but.. it is kind of neat? And please do not be too harsh on me for the horrendous "birds", they really are not my forte. 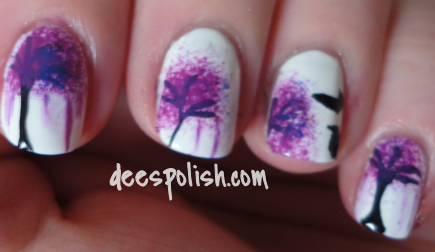 yeeah.. again.. not the best translation into nail art (for my skillz), but I am not completely upset about them.